North Vancouver, B.C.– Outerwear manufacturer and retailer Arc’teryx Equipment Inc. today announced two new appointments to its Product Design team reflecting the company’s ongoing and dedicated investment to producing industry-leading research & design - Carl Moriarty as Director, Apparel Design and Brand Aesthetics and Dan Green as Director, Equipment Design. Carl Moriarty (Director, Apparel Design and Brand Aesthetics) – During Carl’s time with Arc’teryx, he has been responsible for creating apparel and equipment that reflect the company’s world class technical design expertise. Prior to joining Arc’teryx, Carl was an equipment designer for Macpac in New Zealand. Carl studied at Swinburne University of Technology in Australia and has an honors degree in Design. Dan Green (Director, Equipment Design) – Dan has been promoted to oversee design of Arc’teryx’s entire equipment line including climbing gear, packs and accessories. Dan began working for Arc’teryx in 2000 as a product designer and over the subsequent years has played a key role in the development and launch of nearly every product line. 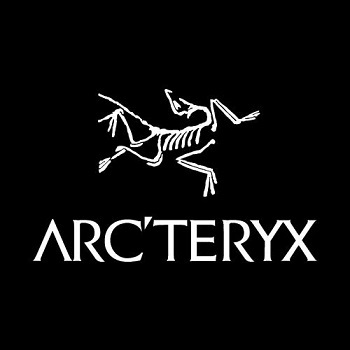 Arc’teryx is built upon the principle of obsessive, precise product creation: design/craftmanship/performance. Manufacturing outdoor clothing, accessories and climbing equipment to the highest possible standards, their products include GORE-TEX® outerwear, down and synthetic insulated jackets, gloves and backpacks. Their equipment collections include mountaineers, skiers, snowboarders, climbers, hikers, runners, travelers and casual wear.